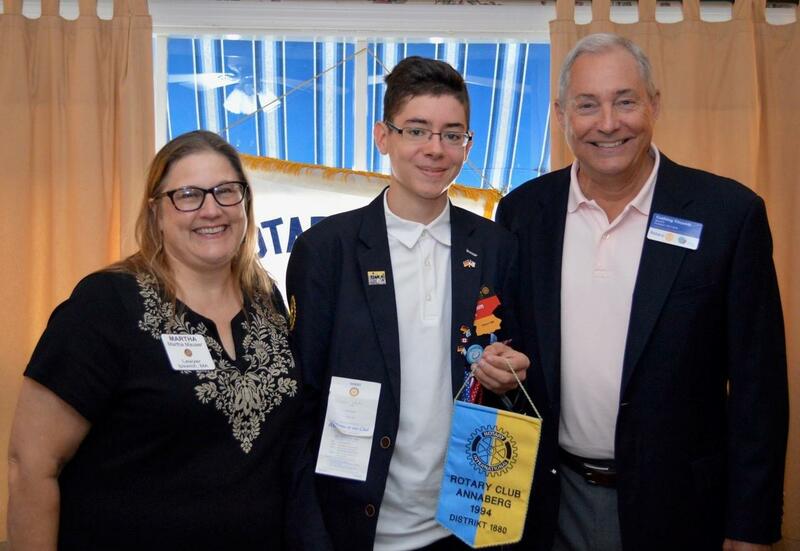 Rotary Youth Exchange is a study-abroad opportunity for young people who spend anywhere from a few weeks to a full year as an international student hosted by local Rotary clubs. The program began during the 1920s as an effort between a handful of clubs in Europe. These European exchanges continued until World War II and resumed in 1946. The reciprocal long-term academic exchange grew in popularity during the 1950s and became the primary type of Rotary Youth Exchange. In 1972, the RI Board of Directors agreed to recommend Youth Exchange to clubs worldwide as a worthwhile international activity. Today, more than 8,000 Youth Exchange students travel abroad each year to live and study in about 80 countries. We wish Viliam and Sara all the best success during the year ahead.